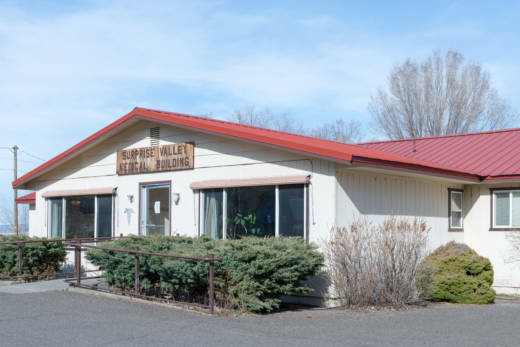 Voters in a tiny northeastern California community this week agreed to sell their bankrupt hospital — struggling like many rural facilities nationally — to a Denver entrepreneur with a controversial plan for its revival. Beau Gertz, who owns Denver-based lab-testing and nutraceutical companies, will buy 26-bed Surprise Valley Community Hospital in Cedarville, Calif., taking over its debt of at least $4 million. Another out-of-town investor had managed it for a few months then “abandoned” it, according to bankruptcy documents. Gertz’s offer, already accepted by the district hospital’s board and approved by a federal bankruptcy judge, required the approval of local residents in Tuesday’s election. Nearly 84 percent of those who voted backed the deal, although turnout was light. The woes of Surprise Valley exemplify the brutal environment faced by America’s rural hospitals, which are disappearing by the dozens due to declining populations, economic troubles, corporate consolidation and, sometimes, self-inflicted wounds. Some Surprise Valley voters felt they had little choice but to approve the sale: Had they rejected it, the hospital almost certainly would have closed immediately, since no other “white knight” has come forward with a plan to rescue it. Bonnie Madrigal, a former certified nursing assistant at the hospital, said Gertz convinced her that he could help. Gertz has told residents he wants to create a “wellness center” offering vitamin infusions, genetic testing, personalized medicine and other health services for well-heeled patients. He has promised to keep the hospital’s nursing home wing open and preserve its emergency room and ambulance services. But some in the community worry that his plans will fail and the local residents will be responsible for even more debt. Gertz said that to help Surprise Valley Community pay for it all, he would bill for lab tests on patients who’ve never set foot in the hospital. He said they will be treated through telemedicine, by doctors who connect with them through video and other technology. Some experts contend that, in general, lab billing for faraway patients is legally questionable — and the practice has drawn lawsuits and government scrutiny in other states. Gertz, who has not faced such suits, did not respond to a request for comment.